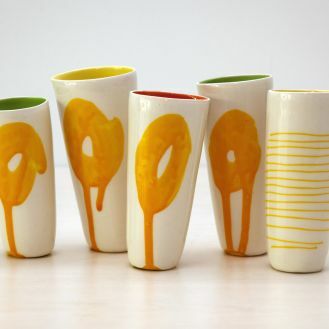 Ceramacist Amanda Shanley likes to have fun with her work and polka dots, primary colours and scribbles abound. Her brightly-coloured, playful creations have become a must-have for many homes in New Zealand, treasured for their practicality and family-friendly style, as well as their understated elegance. The collection of beakers, platters and bowls bound for Shanghai were inspired by the bubble bright colours of ceramic pencils, felt tips pens and chalk, says Shanley. The works are reminiscent of the casual fun and free-will of childhood, and perfect for a casual supper by the fire, after playing in a rain storm. 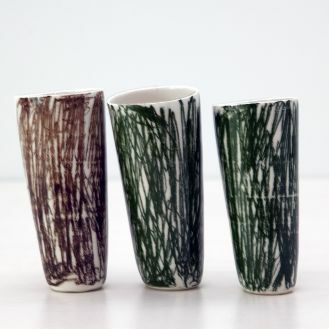 “The ceramics we use at home are all hand made by New Zealand potters; my own as well as friends works,” says Shanley. Since graduating from Otago Polytechnic a decade ago, Shanley has steadily built up a career as a production potter, and her studio in Macandrew Bay overlooking Otago Harbour is testament to her success, as her numerous awards. Dozens of plates, mugs and beakers wait to be shipped around New Zealand, and school-children have visited for workshops, creating personalised plates as gifts, valued mementos or the beginning of budding potting careers. 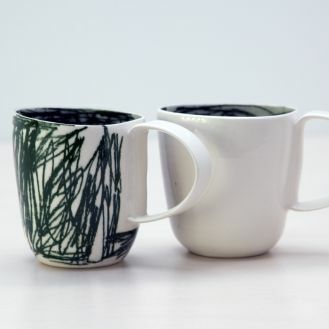 In the age of increasingly homogenised mass production of homewares, Stanley's work is highly valued for its irregular shapes, hand-painted finish and the inherent uniqueness of wheel-thrown objects. It is work that looks and feel carefree, but is anything but. 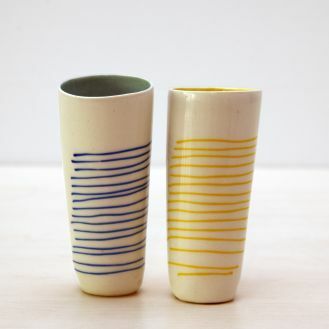 Shanley works with white, high-fired earthenware clay and prefers strong primary colours. Her functional, multi-purpose pieces fly in the face of fuss and pretension, but still manage to bring a touch of glamour to the everyday cup of tea. “[For tea] I like to drink out of a larger cup,” says Shanley, whose modern home is perched high above the Otago Peninsula, and has featured in a number of home magazines.